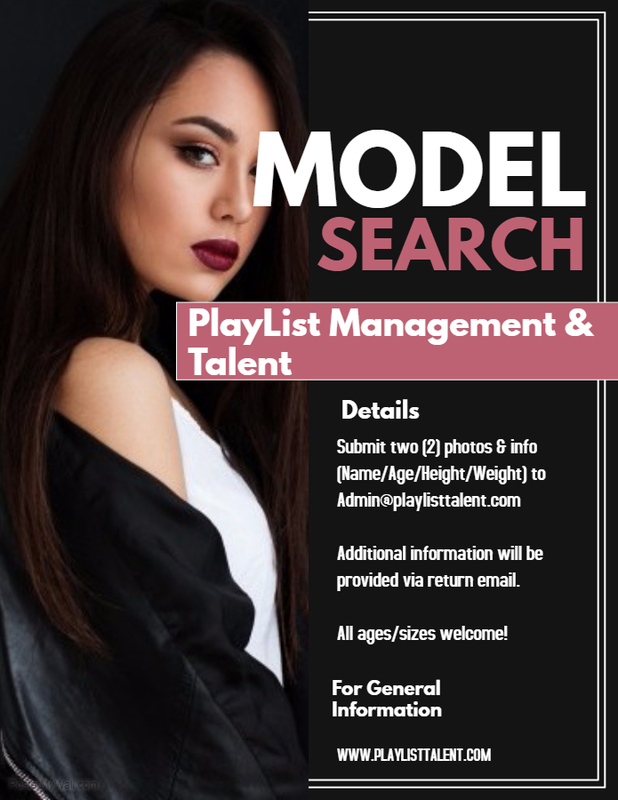 PlayList Management & Talent [PLMT] is seeking individuals who are interested in modeling as well as current models who aspire to work with the international fashion industry. A spokesperson said, “PlayList Management & Talent [PLMT] is seeking individuals who are interested in modeling and/or current models who aspire to work with the international fashion industry. “As PLMT plans for 2018, we are interested in identifying persons for our National Talent Showcase program, Talent INC, which is held in Orlando, Florida in August 2018. “Talent INC, a National Talent Showcase event, provides models, young and old, the opportunity to perform in front of top industry professionals and agents in the US, including New York, LA and Atlanta. “There is a ratio of 1 top industry professional for every 10 performers. This incredible ratio allows each performer to network and introduce themselves to every industry leader in attendance. “This is an excellent opportunity for any aspiring model to make contact, gain knowledge from those leaders in the fashion industry, and possibly receive representation. “If interested, please submit two  photos [1 headshot/1 body shot] and general information including your name, age, height, and weight to admin@playlisttalent.com. Additional information regarding the program, training, and more will be provided via a return email. All ages/sizes are welcomed and encouraged! This sounds likes a great opportunity! More like this should be made available to Bermuda and Bermudians!